Reducing the waste we produce should be a key goal for all those who want to live a greener, more ethical and sustainable way of life. Living a zero waste lifestyle is the only way to ensure that we are part of the solution to the planet’s ills rather than part of the problem. In this article, we will look at home we can go about living a zero waste lifestyle in an RV, whether we vacation in one, or live in an RV full time. A zero waste lifestyle is one in which all the basic needs of existence are met without the generation of any waste. Waste can take a variety of different forms. We might be taking about wasting energy, water, food or a wide range of other resources. One of the most pressing concerns, however, for those living a zero waste lifestyle, is the plastic and plastic composite waste that humanity generates in copious amounts. Moving towards a zero waste lifestyle is all about taking back control, and taking responsibility for the things we buy, the things we throw away, and the true cost of those things. Plastic pollution is a major problem. You can do your part to reduce plastic waste and other forms of waste in your RV. Around the world, people are waking up to the problem of plastic pollution. The statistics are shocking. Humanity’s annual consumption of plastic materials has increased from around 5 million tonnes in the 1950s to almost 100 million tonnes today. Unfortunately, much of the plastic we use ends up in our rivers and oceans – scientists have shown that up to 12 million tonnes of plastic is entering our oceans each year – an amount that could fill a rubbish truck every minute! Unfortunately, all that plastic sticks around. Plastic does not usually biodegrade naturally in the environment, and will remain there, in every ecosystem of the planet, for hundreds of years. By living without regard for the waste we generate today, we are creating a massive problem not only for ourselves but for many generations to come. Of course, plastic is not the only material that poses of problem when it comes to the issue of waste. Vast quantities of items and materials end up in landfill sites each year. They pollute the environment and contribute heavily to climate change and global warming. Waste is a massive problem. It is easy to become overwhelmed, and to wonder what we, as individuals, can really do to mitigate the problems. The truth of the matter is that much of the power is in our hands. While governments and big business do have to do their part, there is still plenty that individuals can do to reduce the waste burden on our planet. Little steps that we can take on the road to a zero waste lifestyle can really add up to a surprisingly big difference. How Can RV Living Help People Live a Zero Waste Lifestyle? If you are considering a switch to a full time RV lifestyle, downsizing from a full-sized home into RV living, you could be taking a massive step in the right direction. One of the reasons for the massive waste problem on our planet is runaway over-consumption. Many of us live in homes far larger, more fully stocked and more energy, water and resource consuming than we really need. 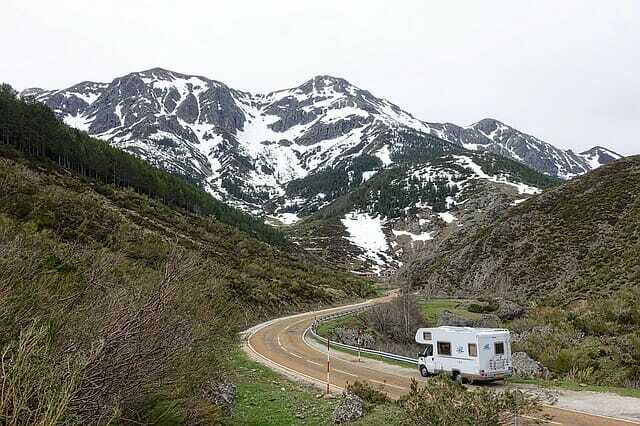 Downsizing to an RV life is one way to reduce the amount we own and use. It can also help us to be more mindful of the things we use, and the things we throw away. Even if we simply vacation in an RV, simple, camping adventures can allow us to waste far less than we might on a hotel vacation or other less eco-friendly getaway. Vacations can often result in waste – especially when we are at one remove from the waste we generate. On an RV vacation, we are responsible for the waste we generate – more able to see how much there really is. (We are the ones who take out the trash and empty the tanks.) By allowing us to take a good, hard look at the waste we produce, RV camping trips allow us to make changes towards a zero waste lifestyle. Reducing waste does not begin with your rubbish – it begins with the things that you buy. More than that, it begins at the very start of the life-cycle of the things that you buy. When moving towards a zero waste lifestyle, it is important to look deeply into the history of the things that you own, and to consider the origins of each and every material. It is important not only to think about the waste for which you are responsible in terms of what you personally throw away, but also about the waste that occurs in producing the products that you buy and use in the first place. Energy waste, water waste and the waste of physical resources, as well as physical solid waste and pollution, are all important things to think about. Being aware of the environmental cost of each and every product you select is key to moving towards a greener lifestyle. But making the right choices when buying new items is only part of the answer to the problems of waste. It is also important to consider how we can reduce our consumption in general. Making do with less and truly evaluating whether or not we really need each and every item is crucial for those who really want to come close to living a zero waste lifestyle in their home and in their RV. One thing to think about when it comes to living a zero waste lifestyle in an RV is that it can be somewhat more difficult to live waste free when you are travelling around in an RV than it is when you have a fixed address, or stay at home. You may be able to find alternatives in shops. Where you cannot, you may be able to do without products all together. Where you cannot live without something, you may be able to find an inventive DIY solution, or make something yourself. You may be able to get the internet in your RV. You may also be able to arrange to have items posted to you care of the campsites you stay at, or get things sent to a post office box. It can also be more of a challenge to avoid disposable items when you are out and about. Below, you will find tips that are more specific to travellers, as well as general tips for reducing waste that could also apply in regular homes. Re-using glass jars for storage is just one upcycling solution for your RV kitchen. Whether you are fitting an RV from scratch, or updating your current RV kitchen, upcycling can provide a solution for improving the space without having to buy anything new (that will contribute to the waste problems we face). Use reclaimed wood to create new cabinets, worktop or shelving. Use reclaimed fabric to make new blinds for a RV kitchen window. Upcycle old ceramic pots, tins or glass jars for RV storage. Beeswax wraps are one great plastic-free solution for storing leftover food. They will stop waste from plastic wrap. Choose biodegradable paper towers (from sustainable forestry) rather than purchasing synthetic wipes or using synthetic sponges or cloths. Choose a metal washing up bowl if you need one. Select wooden/metal washing up brushes etc. Choose wooden spoons/ spatulas rather than plastic or composite utensils. Use ceramic, tin or bamboo plates rather than plastic ones. If you need disposable plates, go for biodegradable ones. Choose stainless steel pots and pans rather than ones coated in Teflon. Choose knives and other kitchen tools without plastic handles. Use beeswax wraps or metal or silicone containers to store leftovers rather than plastic wrap. Grow your own food. You can grow a surprising quantity of food even in a small RV. Grow food at home and take it with you in your RV, rather than buying food on the go. Cook from scratch, using simple, fresh ingredients as much as possible rather than buying lots of packaged, processed food. Buy food from local farm shops and food producers rather than from major supermarket chains. Plastic bottles used to make a vertical garden that could easily find a place in an RV. As plant pots and containers for growing food or other plants in your RV. As cloches (or mini greenhouses) to protect seedlings or as make-shift propagators. For containers to hold small items and keep your RV tidy. For the creation of unique pieces of art. Preserving fresh produce by making preserves that can be stored without the need for energy (refrigeration or freezing). Canning techniques, making jellies, chutneys and other preserves and dehydrating produce can all help with this. A sustainable RV owner will always make space for some home grown/ home made preserves to take on their travels. Of course, there will always still be food scraps that cannot be eaten or used. But these should not be wasted either. Place food waste in a small compost bin under the counter in your RV kitchen and you can use this useful material as a growing medium in pots to grow more food for you and your family. Composting is something that can be easily done in even the smallest of spaces. Cardboard, paper and organic matter of various kinds can be composted too. You could even consider getting in some live-in worms to help you with your composting – and set up a wormery in your RV. Wood pallets can often be sourced for free. In a DIY RV interior, they could be used to make a wide range of functional and attractive furniture. Upcycle old wooden pallets/ furniture to create a new built-in seating area. Make a swinging chair or hammock to make a relaxing place to sit or lie and to make the most of the space. You can use reclaimed fabric for this project. Upcycle an old shelving unit to make valuable extra storage for your living space. Choose wooden and organic natural fabric furnishings rather than those made from plastic. Choose natural, organic fabrics for any soft furnishings and window dressings. Avoid buying plastic toys for children and opt for eco-friendly alternatives. Wooden toys and other eco-friendly options can be just as much fun as plastic options and are far kinder on the planet. If you have televisions, radios, laptops or other consumer electronics and devices in your RV, try to keep these for as long as possible rather than upgrading all the time. Of course, these items will eventually reach the end of their useful lives. Rather than simply throwing these things away, be sure to find a dedicated electronics recycling service, which will give these items a new lease of life, or recycle their various components. You may not be aware of this, but synthetic fabrics (made from plastic derived from fossil fuels) are incredibly energy intensive to produce, and come with a high carbon cost. They are responsible for large amounts of waste and pollution, not only at source but also during the time you are using them. Every time you wash synthetic fabrics, you are washing plastic particles down the drain. These often eventually find their way into our rivers and oceans. Instead of choosing synthetic bedding, make sure that you choose organic, natural fabrics to go waste free. Of course, unlike plastic fabrics, natural fabrics will biodegrade naturally at the end of their useful lives. Organically grown, sustainable cotton can be an eco friendly option for RV bedding and for clothes. Since it biodegrades at the end of its life, it can also help you move towards a zero waste lifestyle. You can also reduce waste by changing the fabric choices you opt for in your wardrobe. Do not buy new synthetic clothes but instead choose only low-impact, organic, natural clothing. Donating old clothes to charity, or gifting items to friends or family. Buying less. Less is more – not only will having a smaller, simpler wardrobe make storage easier in your RV, it will also help reduce waste and be kinder on the planet. Buying higher quality pieces that will last rather than cheap ‘fast fashion’. Not only will higher quality pieces mean you have to buy less often, it will also significantly reduce the number of clothes you have to throw away. Preventing water waste is another facet of zero waste living in your RV. You can find a range of useful tips to help you prevent water waste and save water in your RV by following the hyperlink. Wooden and natural bristle hair brushes. Biodegradable (synthetic plastic free) wet wipes. Plastic free toilet paper (from sustainable sources). You can significantly reduce the plastic packaging that you bring into your RV by simplifying your cleaning regime. Rather than buying endless cleaning products in plastic bottles, switch to natural cleaning products. You can do almost all your cleaning inside your RV with two simple products – apple cider vinegar and bicarbonate of soda – and you can source both easily in plastic-free cardboard/ glass packaging. Believe it or not, these two products are also all you need to wash and condition your hair. Do not buy lots of hair products – instead, keep this simple and opt for a ‘no poo’, natural hair regime. This embargo on bottles and packaged goods should also extend to soaps and cleansers. Rather than buying in more and more products, and generating more and more waste, keep things simple, with natural bar soap and natural cleansers. You can buy these from plastic-free suppliers – or even consider making your own. Quite apart from the zero waste goals – just think about how much space you will save in your RV. RV storage will become far less of a concern. Buy or make your own natural soap bars to avoid more plastic packaging. Sanitary products are a problem for many septic systems, and may already be something that female RV owners have had to think about. Consider replacing your current solutions with an eco-friendly solution, like a moon cup, to avoid yet more bathroom waste. Beauty products are almost always a luxury rather than a necessity, and it is always a good idea to think about which you might be able to do without. But even where you do feel the need for beauty products, you can opt for natural solutions, such as charcoal and aloe mascara for example, which you can make yourself, rather than buying a range of beauty products that create waste (and take up space). The above tips should have given you an excellent place to start, and should send you well on your way to a zero waste lifestyle in your RV.